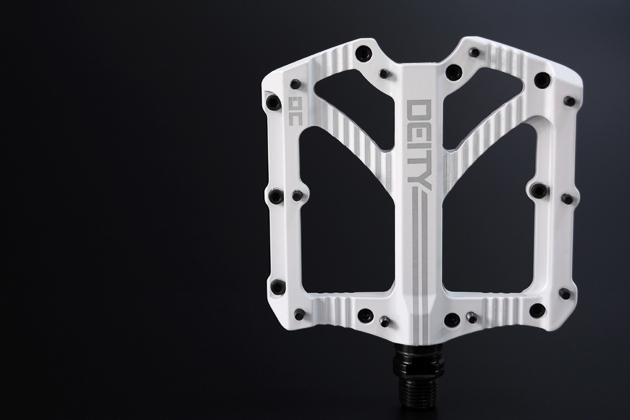 Deity has announced its new Bladerunner pedals, promising improved durability over other thin-bodied pedals. 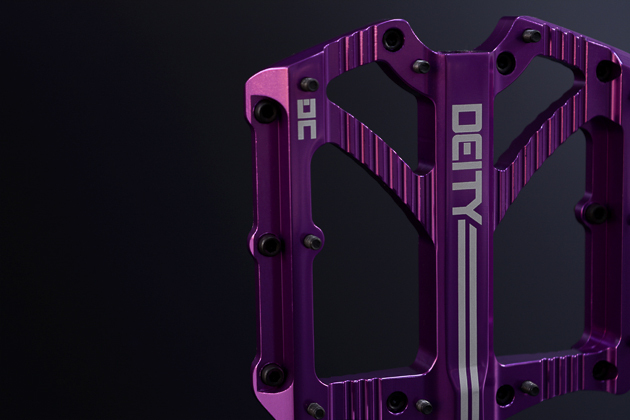 Read on for more info from Deity, as well as a chance to win a pair for yourself. 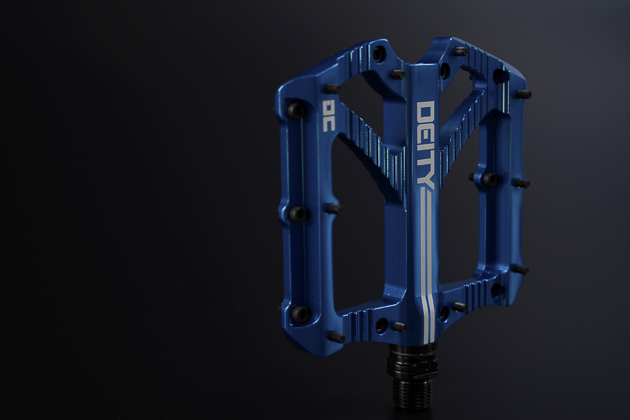 In development for over two years, the Bladerunner sees Deity step away from the basic pedal designs that it’s been known for and enter new pedal territory. With thousands of pedals moving out of the Deity warehouse annually and a variety of price points to hit almost every target market possible, the Deity Bladerunner pedals are a product born from the limitations of previous open source molds, the needs of riders looking for a larger pedal, and a desire to improve the durability of today's super thin pedals. 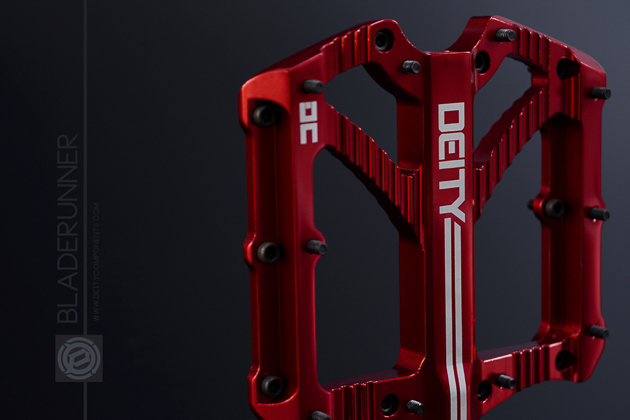 The new Deity Bladerunner pedals feature a 103mm x 100mm platform size that spins on a new Deity DU bushing and a series of micro-sealed bearings. 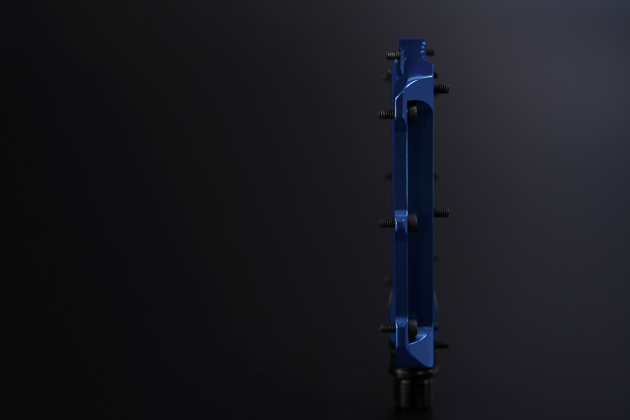 To protect the pedal from bearing failure due to side impacts, crashes, or rock strikes, the internals of the Bladerunner pedals are reinforced by a load distribution top hat ABS spacer that prevents side loads from affecting the bearings. Tested for almost two years, the Bladerunner pedals will be replacing two of the current crop of Deity pedals as the company moves towards a revamped focus in their pedal line. 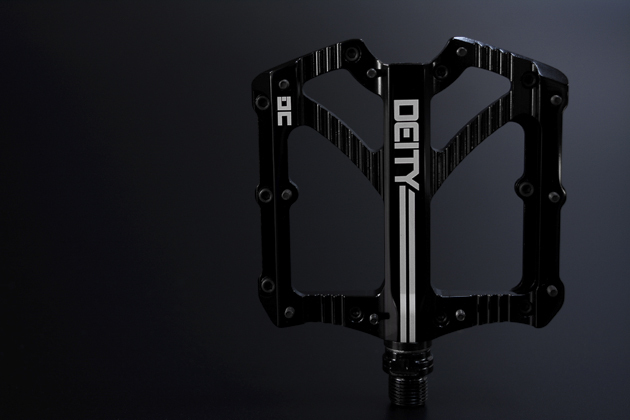 With titanium spindles planned, a signature pedal design in production, and a slew of aftermarket upgrades in the works, the Bladerunner pedals are only the start of exciting things to come from Deity. 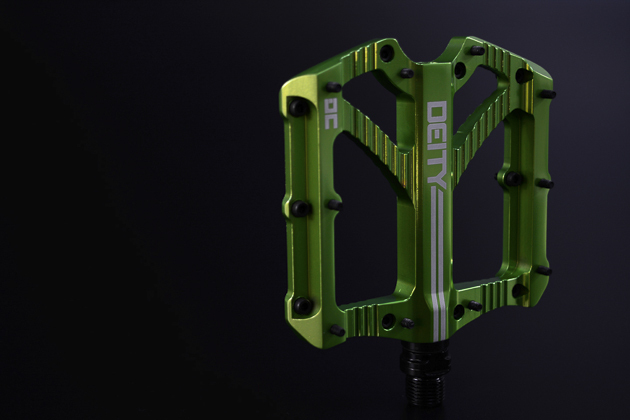 In celebration of the first of many massive product launches for Deity in 2015, our rider-owned crew is giving away five pairs of Bladerunner pedals for FREE to five people in need of some fresh new contact points on their ride! 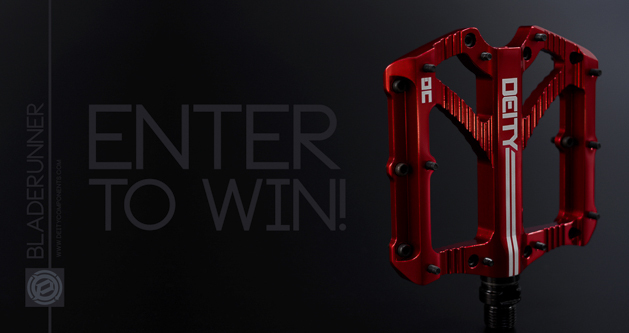 To enter, hit up deitycomponents.com, submit your information, and stay posted for a list of winners on April 24th!